Fortunately for me I picked the right movie to return to the cinema for. 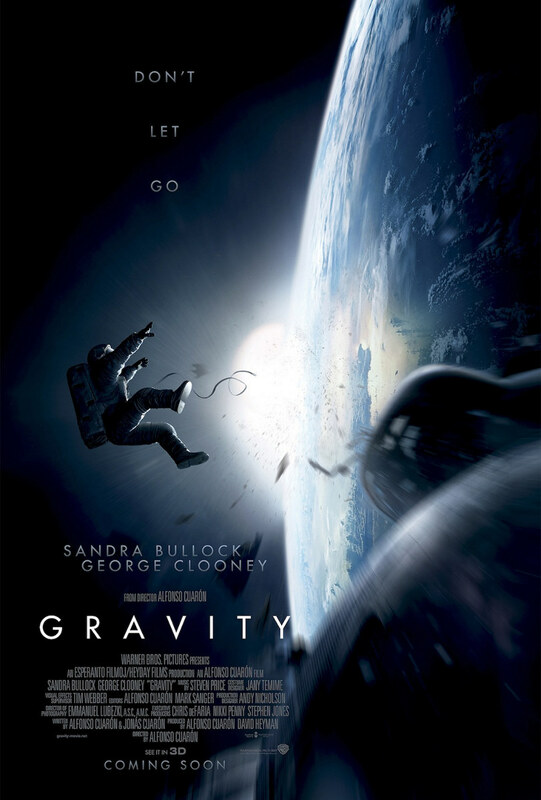 It is the new movie Gravity and you all have to see. Don’t just see it some regular theater. See it in IMAX 3D. You won’t regret it. It is a masterpiece. It may be the best movie I’ve seen in years, certainly one of them. I can’t think of anything more tense or gripping that’s for sure. My hand kept clenching the seat and I almost grabbed the hand of my friend sitting next to me. (It would be a perfect date movie for that reason). The story is simple. Its 2 astronauts in space and a test missile gets launched by Russia and it ends up hitting debris that comes shooting out at the explorer shuttle of the Americans. Sandra Bullock and George Clooney must then figure out how to get home when literally lost in space. That’s all I can say. Anything else would be a spoiler but there were many times I thought ‘no way. That isn’t going to happen’ and then it did. So, I never let my guard down for long. It was amazing. I felt adrenalin for about 2 hours after. Still feeling it a little now. The special effects are astonishing. How did they do it? They say that they used no zero gravity like they did in Apollo 13. They used green screen and a series of small wires. It’s hard to believe it feels so real. That’s why you have to see it on the IMAX 3D. It even takes you a few minutes to adjust to the sensation of floating in space. That’s how real it feels. I think it will be kind of a worthless movie on the home theater. The 3D helps a lot and I’m normally not a big 3D fan. There are some terrific shots that you just wonder how did they get. Like a scene where some water droplets land and you can see Sandra Bullock reflected in the drop. Or just how beautiful the surroundings are around this disaster. The performances are also great. Sandra Bullock is in every scene of the movie and for much of it she is the only person. (and no talking volleyball or tiger to help her). Everything happens to fast for the most seasoned astronaut pros but she’s a rookie engineer that took 6 months of training. She has no idea what to do and most of the time you grasp that just from her voice. In the big space suit you can’t see much body emotion. Just spinning and whirling and panic. I can’t say enough good things. Go see it. You won’t regret it. Totally appropriate for the whole family although it is very intense. If you don’t like intense movies than you might not like it but I really can’t imagine anyone who enjoys movies and the majesty of storytelling not liking it. Alfonso Cuaron is an amazing director. Bravo!